What if the way we're thinking about anxiety is off base? What if there's something about anxiety that can be used for you instead of against you? In this revolutionary new book, Dr. Alicia H. Clark recognizes anxiety as an unsung hero in the path to success and well-being. Anxiety is a powerful motivating force that can be harnessed to create a better you, if you've got the right tools. Hack Your Anxiety provides a road map to approach anxiety in a new --and empowering -- light. 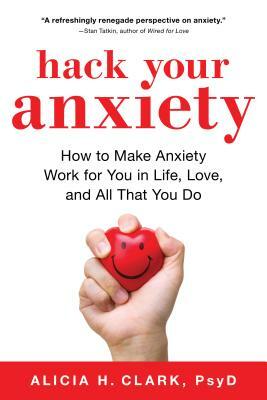 Weaving together modern neuroscience, case studies, interviews, and personal anecdotes, Hack Your Anxiety demonstrates how anxiety can be reclaimed as a potent force for living our best lives.